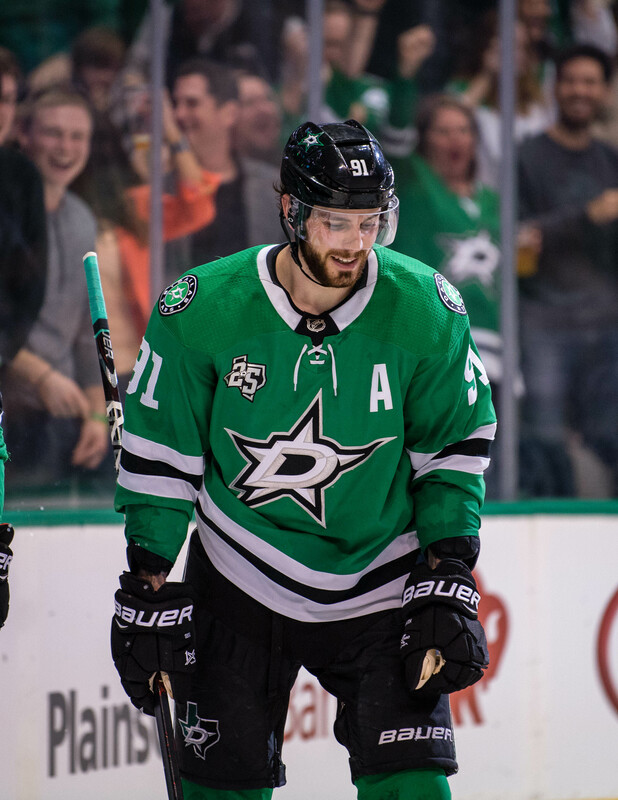 The Dallas Stars continue to make moves as the first day of free agency wears on. The team announced a one-year, two-way deal with two-way forward Erik Condra. No salary terms have yet been disclosed, but it will surely be a step down from the $1.25MM cap hit Condra has carried the last three seasons for the Tampa Bay Lightning. Condra, 31, is a sneaky good signing for a Stars organization that experienced a lot of success at the minor league level with established veterans. 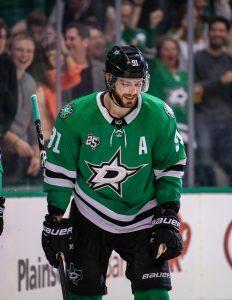 Names like Curtis McKenzie, Travis Morin, Sheldon Dries and Mike McKenna took the Texas Stars all the way to the Calder Cup Finals despite being underdogs in every postseason series, and while Condra will attempt to crack the Dallas roster, his presence could bring about another successful season for the minor league club. Originally drafted by the Ottawa Senators in 2006, Condra has 392 NHL games under his belt including 26 playoff contests, and won a Calder Cup in 2011 while a member of the Binghamton Senators. He helped the Syracuse Crunch to a finals berth in 2016-17 while wearing a captain’s “C” and was an effective player for them again in the most recent season. 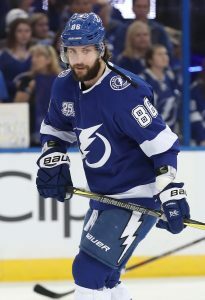 The Tampa Bay Lightning made a flurry of minor moves this afternoon, as indicated by an announcement from the team primarily impacted – their AHL affiliate, the Syracuse Crunch. The most impactful NHL transaction was the return of veteran forward Erik Condra to the minors. The Bolts also reassigned top goalie prospect Connor Ingram as well as defenseman Matt Spencer to the ECHL’s Adirondack Thunder. Down at the AHL level, the Crunch additionally recalled goaltender Nick Riopel from the ECHL and released journeyman forward Jason Akeson from his tryout agreement. Condra, 31, is now in his third year with the Lightning and has seen his role with the team decrease with each passing season. The former Ottawa Senators spark plug signed with the Bolts as a free agent in 2015, expecting to have a similar job in Tampa as he did in Kanata. However, in year one he only suited up for 54 NHL games and scored less than half the points of the previous season’s total. Last year, he skated in only 13 games with the Lightning, spending much of the campaign in the press box or the minors. In 2017-18? Despite being recently called up, Condra has yet to make his season debut for the Bolts with the team 16 games in. It seems Condra has permanently settled into an AHL depth role. Ingram and Spencer, both first-year pros, have each struggled to adjust to the AHL thus far. Although no one is doubting that Ingram could still be the reliable NHL keeper he projected as when he was selected in the third round in 2016, his .860 save percentage and 3.36 GAA in the pros is a far cry from his numbers as a top WHL goalie with the Kamloops Blazers the past few years. Some time in the ECHL could make for a smoother transition and a confidence boost for the 20-year-old. The same goes for the defenseman Spencer, a 2015 second-round pick and two-way ace for the OHL’s Peterborough Petes. Unable to work his way into the defensive rotation, Spencer has seen only limited minutes in just two AHL games. A trip to the ECHL will help him get some work in and, like Ingram, renew his confidence. In the meantime, Syracuse needs another goalie and Riopel is getting the call. However, Ingram’s demotion could be short-lived, as the journeyman minor leaguer Riopel has arguably worse numbers – .871 save percentage and 3.91 GAA in nine games – in the ECHL than Ingram had in the AHL (and Ingram is eight years younger). Riopel does bring some more experience, but little upside over his younger counterpart. Whatever veteran boost Riopel gives the Crunch may be canceled out by the departure of Akeson, who failed to turn a PTO into a contract. Akeson, 27, is a former Philadelphia Flyer with 15 NHL games under his belt and a prolific AHL career to go with it. Yet, with the return of Condra and the realization that he may be in Syracuse for good, the organization likely decided they didn’t need another aging minor league forward on board. Auston Matthews will miss the first game of his career tonight when the Toronto Maple Leafs take on the Minnesota Wild. Matthews was a game-time decision on Monday night against the Vegas Golden Knights, but ended up playing (and playing well). Today, coach Mike Babcock confirmed that his upper-body injury will keep him out of the match, which sparked an interesting take from former TSN radio host Matt Cauz. Glad Leafs are resting Auston Matthews. If stars rest the odd game in the less physical NBA than why not in the NHL? Rather have a fresh Matthews in back-to-back vs. Boston. While Matthews’ injury has been described as “soreness” by Babcock and the team doesn’t seem too concerned about it, it does raise the question about playing through injury or resting to remain healthy all year. Goaltenders are already treated this way due to the demand on their bodies, and perhaps teams should consider it more for their star players. The Maple Leafs though aren’t in the same situation as some basketball teams who decide to give their stars a night off. In the NHL, playoff spots are far from guaranteed throughout the year and any team can surprise on a given night. It’s unlikely that Matthews is sitting just to be fresh for the weekend series against Boston. Erik Condra and Brian Ferlin have cleared waivers and will be assigned to their respective AHL teams. Both players started the year injured, and had to clear to be sent to their minor league affiliates. Condra is headed to the Syracuse Crunch where will be welcomed back with open arms as he continues his role of team captain, while Ferlin will be assigned to the Bakersfield Condors to try and get his professional career back on track. The 25-year old Ferlin has been limited by injuries since leaving Cornell University for the pros, playing in just 28 games (playoffs included) over the past two seasons. Nikolai Kulemin has been placed on injured reserve by the New York Islanders, giving them one additional roster spot to call up a forward. Alan Quine came back from his minor league conditioning stint, but many expect Joshua Ho-Sang to get another chance with the big club. Ho-Sang has five points in five games since being sent down, and is a key part of the Islanders’ future up front. New York plays the Dallas Stars on Friday night.